The Oculus Go was released on Tuesday, May 1st at the Facebook F8 developer conference, and it is a self-contained, 3-DoF mobile VR headset priced at $200 that is optimized for media consumption and social VR interactions. Facebook showed off four first-party applications including Oculus TV, Oculus Gallery, Oculus Rooms, and Oculus Venues. The Oculus Venues will be treated as public spaces that will be governed by Oculus’ updated Terms of Service that has a code of conduct to ensure safe online spaces. 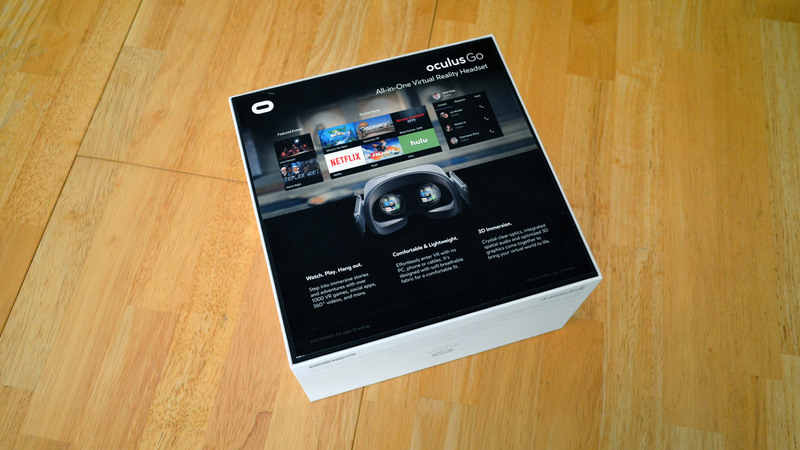 In order to enforce the code of conduct, then Oculus will need to do some amount of capturing and recording of what happens in these virtual spaces, which has a number of privacy implications and tradeoffs between cultivating safe online spaces that may erode aspects of the freedom of speech and the 4th amendment rights to privacy within these virtual spaces. Editor’s Note: We’re catching up on publishing a small backlog of Voices of VR episodes. This episode was recorded around the time of the Oculus Go launch back in May, but includes broader discussion about privacy in VR that remains relevant today (and well into the future). Facebook announced at F8 that it is planning on moderating other Facebook networks through AI moderation, and so it’s likely that Oculus will also eventually try to moderate virtual spaces with AI. What will it mean to have our public virtual interactions mediated by AI overlords? This brings up questions about the limits and capabilities of supervised machine learning to technologically engineer cultural behaviors. The Cleaners documentary at Sundance went behind the scenes of human content moderators of Facebook to demonstrate how subjective the enforcement of terms of service policies can be leaving avant-guard artists susceptible to false positive censorship that results in permanent bans from these communication platforms with no appeals processes. How will AI solve a problem where it’s impossible to define objective definitions of free speech that spans the full spectrum of artistic expression to terrorist propaganda? So Facebook is becoming larger than any single government, but they don’t have the same levels of democratic accountability through democratic models of virtual governance or appeals processes for bans. So while Oculus Go is an amazing technological achievement of hardware, software, and user experience, there are some larger open questions about the role of Facebook and what will happen to our data on this platform. What is their plan for virtual governance? How will they deal with the long-term implications of bans? What does the appeals process look like for false positives of code of conduct violations? What data are being recorded? How will Facebook notify users when they start recording new data or change data recording policies? What data will be sent from Oculus to Facebook? Why don’t these online spaces have peer-to-peer encryption? Does Facebook want to eventually listen into all of our virtual conversations? How will Facebook navigate the balance between free speech and the desires of governments to control speech? At F8, I had a chance to talk with Oculus Go product manager Madhu Muthukumar about the primary use cases & hardware features of the Oculus Go, but also some of the larger questions about privacy, free speech, virtual governance. Facebook/Oculus seem to be taking an iterative approach to these questions, but they also tend to be very reactive to problems rather than proactively thinking through the long-term philosophical implications of their technologies where they are proactively taking preventative measures. 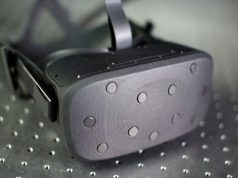 I'll be covering all of the VR/AR news from Facebook/Oculus. I'll be roaming around the next couple of days covering the VR/AR sessions, doing interviews, and I have a demo at 1p. 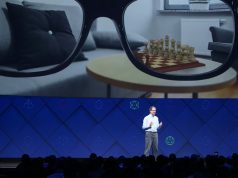 Facebook is dealing with a lot of trust issues, and their message at F8 was that they’re 100% dedicated to building technologies that connect people despite the risks. Technology can always be abused, but that shouldn’t scare us into not building solutions because Facebook sees that on the whole that they are doing more good than bad. The problem is that Facebook is siphoning our private data, eroding privacy, and their quantified world of social relationships has arguably weakened intimate connections in favor of inauthentic interactions. Facebook claims to want to cultivate community, but they fail to connect the dots for how their behaviors around privacy have eroded trust, intimacy, and will continue to weaken the community and connection they claim to be all about. At the end of the day, Facebook is a performance-based marketing company using the mechanism of surveillance capitalism, and ultimately these financial incentives is what is driving their success and behaviors. Either you care or don’t care. How much personal privacy are you willing to give up for entertainment and convenience? I find a great deal of people don’t care and actually get angry that I do care. last time i checked Facebook doesn’t have a mind-reading interface. It only knows what you tell it. So i really don’t understand all the fuss these days about privacy. It knows more than you tell it. Maybe keep up with the privacy issues and what’s happening on your smartphone. But obviously you’re one that doesn’t care. Which is fine. Google is as guilty; if you really start looking into your digital footprint it’s shocking how much data is captured. Try using the internet with a secure VPN and see how many websites simply refuse to connect. I agree, the only good thing I can say is google doesn’t package and sell your data to anyone and everyone the way Facebook does. And I think Google is clear on what it collects, Facebook has been caught lying about every aspect of their data collection and what they sell. Like I said the ones who don’t care are angry at the ones who do. But here’s the reality not caring and willful ignorance are two different things. You are obviously the latter. Absolutely not, at this point in the game, if you ever go to any tech sites or news sites, you still don’t know…you are being willfully ignorant. I mean, did you even bother reading the article? Privacy is actually a very big issue these days. Just don’t believe me, it’s easier that way. Brush me off. It’s not that much a privacy concern. The problem is how this companies has decided that they have the right to impose any condition on their own customers. They are gathering all they want from their customers for free and then making money with that. If you were getting something from me to do business with it then I should be delivering it to you voluntarily, not as an imposition. Do I want/don’t care giving all this data produced by me by while I make use of a product? I opt in. I don’t like it for whatever reasons? I opt out. The option is given to the customer, end of the problem. Some may say that if I don’t like the use terms of product I shouldn’t buy this product. But, why should I accept that, in order to make use of a computer device (for example), I’m obliged to be part of all this unidirectional data gathering network that is being laid down as an integral part of our technological society over the lasts years? Sorry for the fancy english. I’m not a native english speaker and is always a concern of mine I may sound non serious. But I still need to express my opinion despite the language barrier. I agree it’s about personal choices and “how much are you willing”. For example I don’t have problem with ditching a FB app (even ditching smartphone altogether) but Oculus Go & Rift offer a different kind of value that I would be reluctant to discard. I’ve also noticed this year’s F8 was way more ‘privacy-aware’. Last year they had Regina Dugan with her controversial talk. This year even their smart speaker wasn’t really featured. And as Kent mentioned FB through Oculus invests a lot in arts, education, vr4good, has strong presence at places like Sundance festival. So things can get complicated, and there’s plenty of friction even when we’re talking about one company (FB, Google) let alone globally.